This lovely bangle bracelet is made with creamy celluloid and is edged with thin lines of sage green. 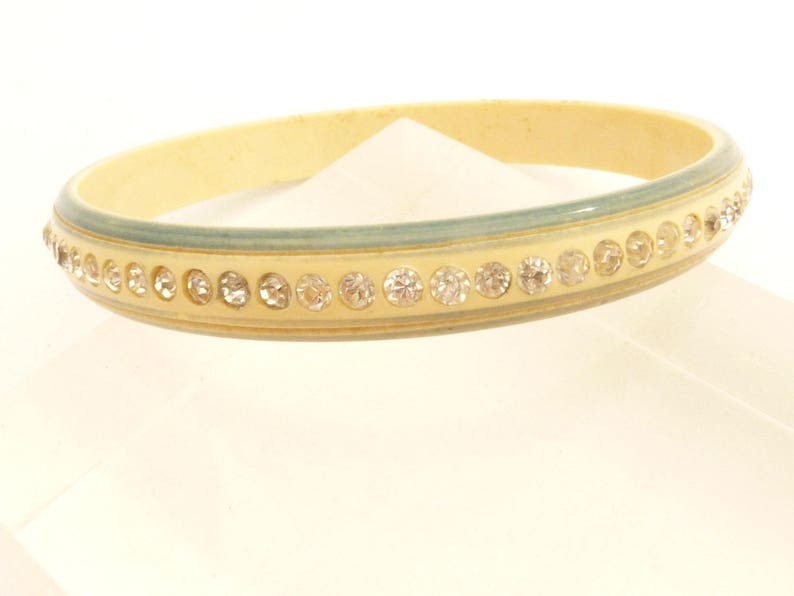 A single row of clear rhinestones encircles the bracelet. It measures 2-1/2" across the opening and 7-3/4" around the inside. This lovely piece is in very good condition but part of one of the lines of sage green is very light. It appears to be a manufacturing defect rather than wear, but I have shown it above in photos.